The Chicago Organizer, Inc.: Residential professional organizing services. Clutter-free living. Are you ready? Hard to find motivation to get started? 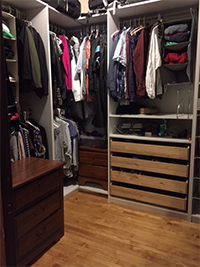 Overwhelmed by moving out, downsizing, or moving in? Difficulty deciding what to keep and what to give away? I am happy to tell you, there are SOLUTIONS! You WILL SEE RESULTS... and reach your vision. Your home will look and feel the way you want it to. It might even exceed your dreams. 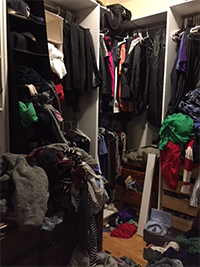 Please call Terri at The Chicago Organizer, Inc. With our no-nonsense, roll-up-your-sleeves approach to getting things done; Clutter-free living is NOW! 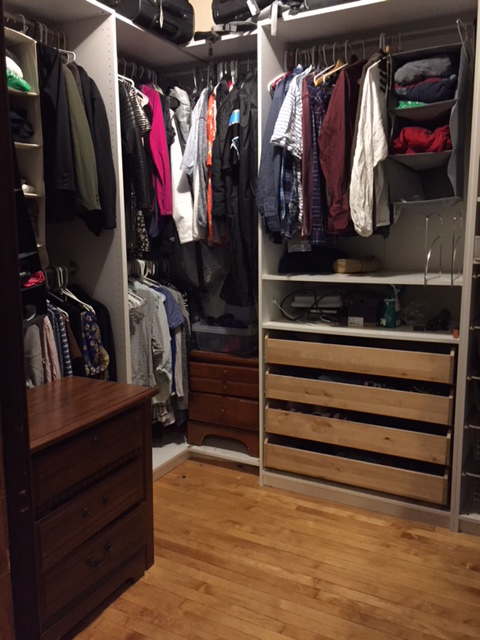 This client's closet needed de-cluttering.